This building was and old boot retail store. The new owner bought it and turned it into a climate controlled storage facility. The orinal roof was metal that had been seal coated and was not in good shape. We were able to add insulation for an additional 27 R-Value to help with his heating and cooling inside. The Owner was able to get a rebate from the energy company for the added insulation. Storage Units tend to have condensation problems when they have metal roofs. 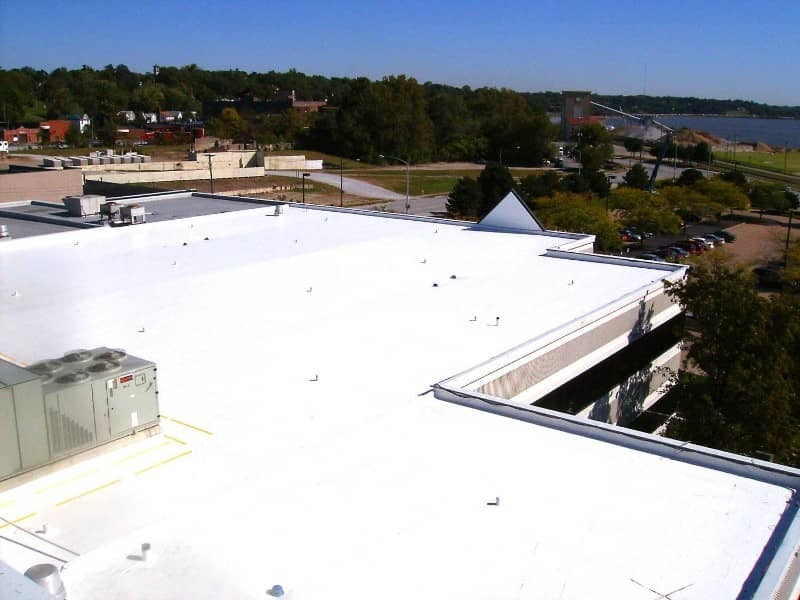 We help eliminate those problems by installing a metal retrofit system by Duro-last Roofing.Riddell Roofing used factory flashings and a 3/8" Duro-Fold slip sheet. Riddell Roofing also recommended and installed safety walk pads to the roof-top air conditioners helping to ensure the longevity of the roof.